The Paterfamilias motif has dominated world religious history. It is most obvious in the Roman Catholic Pontiff, but the senior male as the “family” head, holding chief responsibility for carrying out householder and state religious rites and other duties, is a familiar one in most cultures. The True Parents doctrine of the Unification faith represents a unique innovation. It replaces the Paterfamilias with a Pater-Materfamilias. 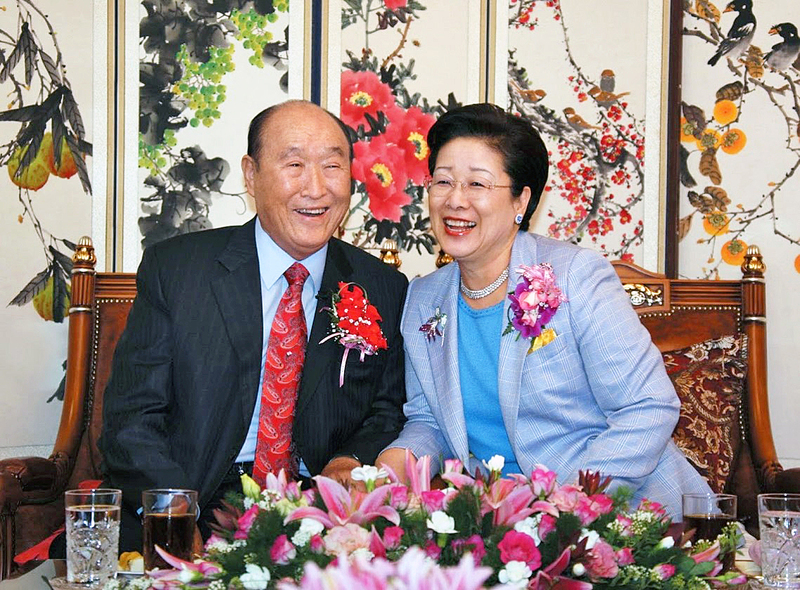 Surprisingly, the Unification True Parents are barely mentioned in the chief Unification text, Exposition of the Divine Principle (EDP), but the concept increasingly featured in the sermons and other homilies of the founder, Reverend Sun Myung Moon, to emerge by the end of his life in 2012 as perhaps Unificationism’s most seminal and distinguishing theological principle. The True Parents doctrine has been further refined under the leadership of Rev. Moon’s wife, Hak Ja Han. Indeed, without this doctrine, it is unlikely Mrs. Moon would have been accepted as leader of the Unification movement following her husband’s death. The Roman paterfamilias classically exemplifies the status of the father or male elder as the socially dominant figure. Pater, or “father,” is an Indo-European word that stems back many thousands of years. By a range of evidences, the Indo-European kinship system was patriarchal, patrilocal and patrilineal. This patriarchalism had cosmological justification. Women were related to the raw, untamed processes of nature while men were associated with the progressive civilizing force by which nature could be tamed. The male was thusly construed as being the more important of the two genders and deserving precedence. Among the paterfamilias’ duties was that of priest. It was his responsibility to faithfully and accurately execute the household religious rites. The Roman Emperor, who from imperial times was also the Pontifex Maximus, or State High Priest, was like the Paterfamilias of the Empire. He was both the Empire’s administrative and religious caretaker. The Roman paterfamilias motif filtered its way into the Christian Church. Roman society was based on family identity and the early Christians considered themselves to be a new kind of spiritual family headed by God the Father and Son and his representative, the community Bishop. The Bishop guided the physical and moral welfare of those under his care just as the paterfamilias did. Parish priests acted under his authority at the local level and were called patres. As the Roman Empire spread across the world, so too did the reach of the Bishop of Rome. He became the Pope, the Holy Father of Western Christendom. The apostolic successors of Eastern Christendom were also called Patriarchs. The late UCLA professor of anthropology Marija Gimbutas’ claim that prior to Indo-European spread societies had not only been more gender egalitarian but the Great Mother had been the dominant religious figure has its supporters, though is largely contested. Proponents imagine pre-Indo-European cultures to have been less warlike and better integrated with the natural cycles. Earlier agricultural communities may well have been more pacifist but this is more likely because they could afford to be less competitive when human populations were still sparse. With the commencement of interglacial warming 14,000 years ago, however, food sources became more abundant, bringing about an explosion of population numbers that took people into almost every corner of the globe. Not only would this have widened the breach between nature and the developmental impulse but the importance of the stronger male physique in protecting communities from attack, in handling the heavier agricultural implements invented to enhance farming methods, such the plough, and in erecting larger domestic and civic structures for growing numbers of persons would have arisen. The invention of highly complex industrial, robotic, electronic and digital devices over the last 100 years is rapidly marginalizing the importance of the physical attributes of the male for human survival and prosperity. The role of women is correspondingly magnifying. The added intellectual input of women, on the contrary, has become important to speeding us along the great informational and technological highway that has opened up. This change has additionally rendered vertical organizational hierarchies an encumbrance and so we find lateral teamwork and partnering approaches also on the rise. There are those who believe that male dominance still delivers the sleekest system of social order, though modified so as to be “fairer” to women. Traditionalist religious systems tend to adhere to this viewpoint and they appeal to Scriptural justification for support. Then we have the feminists who believe female dominance would purge society of harmful competition. Many in this group idealize the restoration of an imaginary time in human history when the Great Goddess or Earth Mother reigned and gentler values like nurture and cooperation prevailed. More recent is the genderless campaign, where it is believed that the only certain way of curing unequal gender relations is to do away with gender altogether. Finally we have the viewpoint that male and female complement each other with neither being better or more important than the other. The last is the viewpoint to which the majority of Westerners seem drawn. 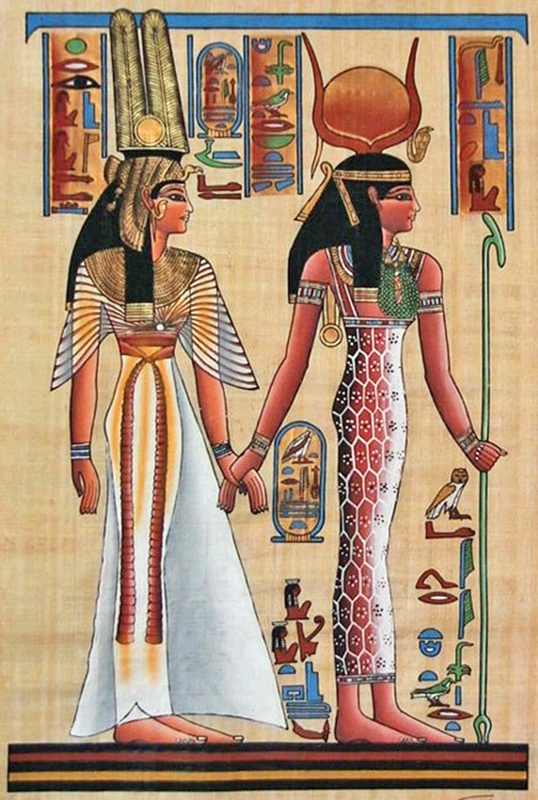 Egyptian Goddess Hathor (right) — who personified the principles of joy, music, feminine love, and motherhood — guiding Queen Nefertari. Humanity is entering a completely new phase that requires a substantial reworking of both social and cosmic order. Patriarchists hold to their long-standing scriptures and traditions, the feminists have their imaginary Earth Mother cosmology, and the genderless camp turns to a humanist worldview in which it is taken as an article of faith that technological and social conditioning is fully capable of engineering gender out of existence. There is not as yet an ontological support system for the complementary-gender view. The Unification theology of a Father-Mother God in which, apropos its Neo-Confucian derivation, the Creator comprises two opposite but cooperative, interactive forces, neither of which can exist or function without the other, offers some potential in this regard. God in the Unification system is a singularity that has two complementary and interacting modes of expression. The primary Unification theological text, Exposition of the Divine Principle, outlines the electro-gravitational pairing system or modal binary under which our universe operates and calls it “dual essentiality.” For simplicity God is frequently depicted in Unification theological presentations by the traditional yin-yang symbol. At its purest level, the Unification Principle of Creation sanctions the precedence of neither male nor female. In fact, the text specifically says, “Any one of the four positions may assume the position of subject partner and engage the other three as its object partners…” It is these acting in an interdependent, interactive and cooperative unit that induces health, harmony and goodness for all the components. The Unification understanding that male and female constitute an equal partnership and commitment rebuts at an ontological level the male, Paterfamilias cosmology and culture that has dominated most developed societies for at least the last several millennia. It offers a new cosmology of God as Pater-Mater, in whose image humankind is made. Though the Unification principle of a male-female partnership made in the image of God, the Heavenly Pater-Mater of a united and peaceful human family, is plain at a theological level, the Unification group is only just grappling with the fuller implications of this doctrine. Three reasons for this can be adduced. First was the patriarchal climate in which the Unification message had to be sown. While some countries have made notable strides in achieving male-female parity, the process is still unfolding. Korea, Unificationism’s country of origin, is well known for its Confucian-derived, patriarchal social system, which, again in common with so many other cultures, saw patrilineal descendants alone being qualified to conduct household and other religious rituals. Though patriarchy was less entrenched in the United States and Europe, the assumption that women served society best as homemakers was only just beginning to topple when the Unification message first arrived in the West in the early 1960s. Such entrenchments are not overturned overnight. Second was the equating of the male side of God with the magnetic “plus” or “positive” and the female side with “minus” or “negative” in the EDP; these roles were also mostly associated with “subject” and “object.” The terms yin and yang as traditionally used in Daoism and Neo-Confucianism already embedded a similar slighting of the female, as in darkness being a yin quality while light is yang. These designations all imply that males have some kind of edge. The EDP not only also constantly refers to God as Heavenly Father and “He” but justifies that designation: God in relation to that which emanates from God, the creation, is in the subject (by implication male) position. Only very occasionally is God given the more neutral designate of Parent in that text. In the original Principle (Wolli Wonbon), hand-written by Rev. Moon in 1951, the dual characteristics are referred to as “counterparts,” which is a more impartial terminology. Unification scholar Andrew Wilson sees Wolli Wonbon as a rendition better suited for an advanced time, while the EDP, written by an early and erudite disciple, Hyo-won Eu, was specifically slanted towards a Christian audience and endeavored to package Unification theology in more familiar and acceptable terms. Third was Rev. Moon’s own variance in both his pronunciations and actions in relation to the matter of gender relations. In his thousands of sermons, speeches, prayers, and talks God is mostly addressed or referred to in masculine terms. References to God as Heavenly Parent, or just Parent were only occasional by comparison. Rev. Moon was also apt to appoint men to leadership positions. Though during the first 30 years of Unification growth (1950s through 1970s) women were frequently sent out as missionaries, many of whom continued to lead the branches they established for some time, by the end of the 1980s an all-male (and mostly Korean) senior management system was in place. Remarks of this kind were frequent during the last 20 years of Rev. Moon’s ministry and provided greater consistency with the ontological equality implied in his Unification Principle of Creation. Most Unificationists feel a strong sense of continuity under Mrs. Moon’s hand. That she faces innumerable challenges ahead, there can be no doubt. Nevertheless, as Unification scholar Thomas Selover succinctly put it, “The whole of Unification theology is built on the premise of the providential necessity of True Parents.” This necessity in turn derives from the more fundamental idea within Unification theology that God is not just a Heavenly Father but equally a Heavenly Mother, in the sense of a unitive-interactive Heavenly Pater-Mater, the Original Image upon which all creation is patterned. Adapted from the author’s paper delivered in June at the 2018 CESNUR Conference at Weixin College, Taiwan. Dr. Alexa Blonner received her Ph.D. in Studies in Religion from the University of Sydney, Australia, in 2017, specializing in new religious movements. 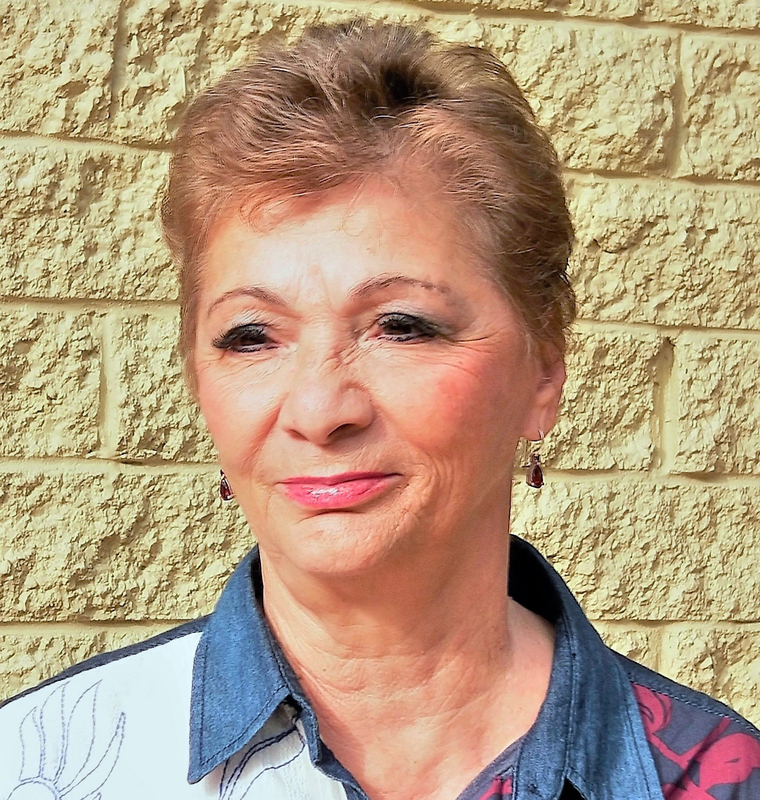 She was a Unification member during the 1960s and has maintained friendly contact since then, resulting in her research often focusing on the Unification group. She is currently working with a publisher on a book version of her thesis, which will be entitled Reimagining God. This is an excellent, well-written, and important post. I imagine that the full thesis and, hopefully, the book further explicate the theme of matrilocality vs. patrilocality prominent throughout Genesis, chapter 2 stating the former and chapter 3 implying the latter, and in the New Testament’s infancy narratives. I suggest one correction. Wolli Hesul and Wolli Kangron were composed by a team, as indicated at the conclusion of the Preface by the use of third-person plural pronouns and as told to me by an early follower of the True Parents. It is unlikely that Hyo Won Eu knew all the details of modern and contemporary history/culture reported in these books. Divine Principle was crafted in English by a small team guided by Mrs. Won Bok Choi, who in those days was with True Parents virtually all the time, and who well may have led the initial stage of the Providence in America for the unification of Christianity centered on the new truth. In 1973, Dr. Bo Hi Pak showed me pages in his lecture manual that had the foundation of substance established by Cain’s sacrifice of Abel with Abel being the offering for establishing the condition. This contrasted with the treatment in the books listed in the preceding paragraph, and those by Dr. Young Oon Kim, or in The Divine Principle Study Guide, and Outline of the Principle Levels 1-4, which have Abel’s substantial foundation created by his power or nobility of character in persuading Cain to become his object partner. I would hardly say, “The True Parents doctrine of the Unification faith represents a unique innovation. It replaces the Paterfamilias with a Pater-Materfamilias.” This was established 3,500 years ago in the 4th commandment: “You shall honour your father and your mother” establishing that both parents have equal authority. This of course was merely the logical expansion of Abraham’s teaching in Genesis that the image of God is male and female. While there are many interesting features in the article, I think not mentioning the biblical tradition, which is an important root of European and Unification theology, is a major lacunae. The Principle describes itself as a “new expression of the truth.” Which truth? The one first discovered and articulated and transmitted by Abraham and his descendants. The attribution of Genesis 1 to Abraham is new to me and interesting. I would like to know your basis for it. The Genesis narratives have older precursors in the Gilgamesh epic which is the oldest extant literature in the world. Abraham came from Mesopotamia and would have been familiar with the Gilgamesh epic. Like all myths it embodies the ‘truths’ and values of the culture from which it originated along with memories passed down the ages. In the Jewish and Muslim traditions there are accounts of how Abraham discovered God, his basic teachings and also about his evangelical activities. I joined the dots and came to the conclusion that Abraham was obviously teaching something and that what he was teaching were the Genesis myths. IMO he reworked and reinterpreted the Sumerian stories of the Garden of Eden and the Flood, etc., based upon his own encounters with God and the world. And that is what he taught his family and followers. Here are some of the ‘truths’ in no particular order about the nature of reality that Abraham discovered which are embedded in and transmitted through the myths in Genesis 1-2: there is God, God is one, the image of God is male and female, God created the universe, creation takes time, time is linear, growth takes time and goes through stages, God created humans in his image, we are God’s children, God cares about us, we have divine and unique individual value, men and women have equal value, men need women, monogamy, humans are to look after the natural world, we have the right and responsibility of dominion, humans have freedom and responsibility, evil is a mistake, restoration is possible, guilt and repentance as opposed to honour and shame, angels, angels are in the image of God, humans are in the image of angels, God doesn’t control humans, God wants to live with people, God grieves, etc., etc. All these ideas are quite revolutionary from the perspective of the ancient world. William Haines reminds us that we have read that God created man and woman in his image, and that we should honor our father and mother. He is right. However, for me, the central tenet that we are saved by attending the True Parents and becoming true couples and true parents ourselves seems to me as revolutionary and entirely new as when I first heard it. If you ask a majority of Christians who is the bride of Jesus, most would reply that this is the church. Any other idea is still exotic in mainstream Christianity. And the recent rebellion of some Unificationists against True Mother, seems to suggest that True Mother was long perceived as the wife of Reverend Moon, but not really as equally important as him in the economy of rebirth and salvation. How much Dr. Blonner manages to explain this is of course questionable, but she did the right thing by addressing this topic, I feel. The Advent of the Culture of Women: Peace message number 13 and peace message number 16 may help to understand the strategy used by TF (and TP of course) to expand an open view about woman-mother-daughter-sister value. Yet there is still a long vay to go before a true cultural revolution.